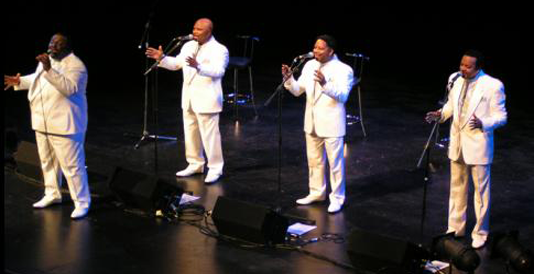 The AMERICAN FOUR TOPS show with all that sweet soul music and motown magic continue to leave the audiences standing and dancing and chanting for more after each outstanding performance. The AMERICAN FOUR TOPS Motown Show features the voice of Mr William Hicks. The high stepping choreography and superb vocal harmonies hits the stage with all the glitz of Vegas and is guaranteed to leave you Breathless! Visually exciting and musically authentic covering all the hits of the Four Tops, Reach Out, Baby I Need Your Loving, I Can't Help Myself (Sugar Pie), Standing In The Shadow, Bernadette, Walk Away Renee, Loco In Acapulco and as well as songs of The Temptations, The Drifters, The Miracles, The Platters, The Stylistics, Smokey Robinson, Ben E King and many more. The show is explosive!